If you're in need of more information about temporary custody agreements during your divorce, we have answers. Click here our informative guide. In the last two decades, five million Canadians have become separated or divorced. A divorce or separation is a difficult adjustment for adults. But if there are children involved, it can feel downright impossible. It's not easy to figure out who gets custody of the kids. Both parents love their children equally. If you and your spouse are thinking of "uncoupling" from one another, it's time to arm yourself with some information. The more you know, the transition becomes less scary and much easier. Here's what you need to know about temporary custody of your kids. 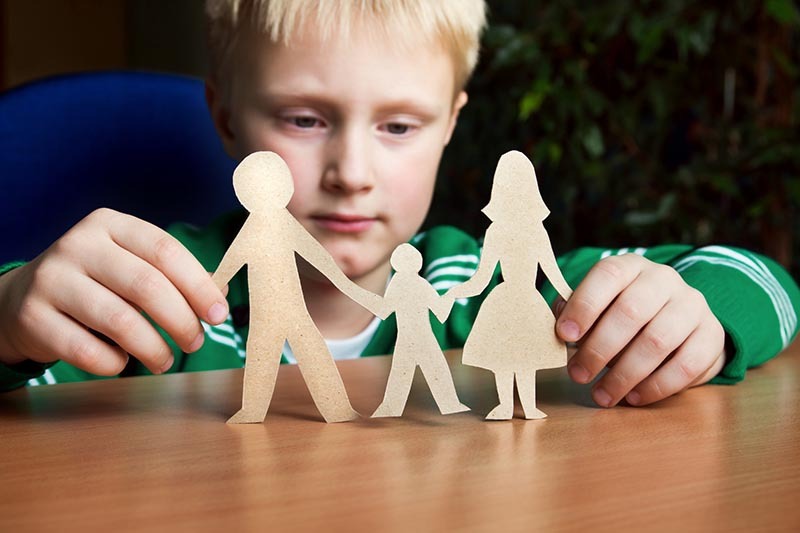 There are several reasons why someone should pursue establishing temporary custody. Always the reason is to protect the best interests of the child. Sometimes they are established to prevent one parent from moving too far away until the court proceedings have finished. Establishing temporary custody is a smart idea if one parent is threatening to take the child or children away. But it's also a good idea when you're already a single parent. If you have a job or personal circumstances like a drug addiction, there are times when you can't be physically or emotionally there for your child. In that case, it makes sense to establish backup custody until you are able to care for your kids. It's foolish to assume that temporary custody is automatic. In order to receive it, you must file a request. If you're filing for divorce, it can be made in the Statement of Claim for Divorce or shortly after your initial paperwork is filed. Next, a judge holds a hearing. Prepare in advance because the courts will also address any child support issues or visitation schedules. The court will ask for documentation proving your child is covered by health insurance. The judge will also want to know if there's been any history of domestic violence. Determining temporary custody depends upon laws and your particular circumstances. If you are married, the court will follow the laws based on the Divorce Act. However, if you live in Alberta, the Family Law Act may also apply. This law applies to both married and unmarried couples. If you're married and living in Alberta, you can use either law. If you are unmarried, only the Family Law Act will apply. If you choose to file under the Divorce Act, you'll have to file the application in the Court of Queen's Bench. If you choose the Family Law Act you can either file in the Court of Queen's Bench or in the Provincial Court. The Provincial court has over 72 locations while the Queen's Bench has less than 13. If transportation is an issue, it's something to consider. You'll have better luck finding a lawyer if you file in the Queen's Bench. However, you can argue your case without a lawyer in the Provincial Court. Evidence must be presented in written form in the Queen's Bench. But at the Provincial Court, the judge can directly ask you about any evidence you have. A judge will take into consideration the laws where you reside. However, your child's best interests are always at the center of any temporary custody decision. Many judges will want to learn about each parent's relationship with the child or children. The Court also wants to know about each parent's current physical and emotional health. The judge will also want to hear about any physical or emotional needs the child has. Lastly, the Court will want to hear about each parent's ability to meet the children's needs. A judge might award one parent sole temporary custody. This means that parent is solely responsible for making any and all decisions on behalf of the child. The other parent may or may not have access to your child. It's also possible that joint temporary custody is rewarded. In that case, each parent makes decisions for the child when they are with the child. All major decisions are done jointly by both parents. With joint custody, the child can live with both parents. If the child lives with one parent for more than 60% of the year, that parent has primary residency. In most cases, temporary custody stays in place until the divorce order is finalized. However, a judge can alter custody if he or she finds it's no longer in the child's best interests. This only happens if a major change has happened. In most cases, it's shown that the child's needs aren't being met or one parent is preventing the other parent from visiting with the child. However, even if you do lose temporary custody, it's possible to regain custody in the future. If it happens to you, take advantage of any visitations offered with your child. Keep records of all your visits and of any extra money you've spent on your child. Paying for things like clothing or extracurricular activities shows the court you're still putting your child's needs first. In the end, the court decides permanent custody decisions based on what best supports a child's safety, welfare, health, and stability. If you are awarded temporary custody, there's a lot of responsibilities you need to consider. Making daily decisions for your child and supervising their activities are just the beginning. You're also responsible for deciding where they will live. And who they can have relationships with. You'll need to decide where and how they are educated. Their cultural, spiritual, and religious upbringing is your responsibility. Any medical treatments or legal proceedings your child is involved with are also yours to handle. If you feel this is too much responsibility, temporary custody may not be a good choice or you may need more support to handle everything. Even if you are requesting temporary custody, that doesn't mean things need to be acrimonious between you and the other parent. Instead, try to find ways to work together for the benefit of your child. Creating a parenting plan checklist will help ensure both parents are on the same page when it comes to the care of their child. It will also help prevent a lot of miscommunication and fighting. This checklist can include plans for how the two of you will reach decisions together in an amicable way. It should also state how much time and when each parent will spend with their child. List names of people your child is allowed to spend time with like friends and other family members. Make sure both parents are on board with how much time is spent with friends and family. Extracurricular activities are time-consuming and expensive. Before any parent enrolls their child in a new class, speak to one another. Plan which activities your child engages in and how much money it costs. Also, since those same activities usually involve parents coming to witness the event, talk about how the two of you will support your child's events so that at least one of you is always in attendance. And of course, holidays and school breaks are important. Figure out ahead of time who gets to spend time with the kids. This will save you from a lot of added stress by doing it at the beginning rather than waiting around until Christmas to discuss it. Lastly, talk about communication. Decide how people can communicate with your child, including the other parent. Make sure you're both okay and aware of your child texting, Skyping, and Friending the other parent. You should also talk about when it's okay to communicate and when it's not. In a perfect world, when two adults separate or get divorced, everyone would walk away happy and friendly. Unfortunately, divorce tends to bring out the worst in people. Which means it's not always an ideal situation to sit down with your child's other parent to discuss how to raise your child. But that does not mean there are not options. Developing the checklist will make life easier for everyone to find your best method and make sure it gets done before you go to court. If you and your soon-to-be-ex are still amicable, it's completely fine to complete your checklist together. There's no need for others to get involved unless you need them to. DIY will save you time and money. You also have complete control over the agreement. A mediator is helpful when handling temporary custody issues. The mediator won't take sides and stays neutral the entire time. Their goal is to help both of you come to an agreement you both of you can accept and is in the best interest of the child. If one parent earns less than $40,000 per year, it's possible they might qualify for mediation services through Resolution and Court Administration services. The way the collaborative law works, both of you have retained lawyers. However, the goal is to create parenting solutions together rather than going to court. Both of you would sign a document stating you are willing to work together to avoid court. If this method doesn't work and you do end up in court, you'll need to retain new lawyers. These meetings allow for both parents or guardians and their lawyers present and able to speak freely about the best interests of the children. Many law firms have developed a strategy called a four way settlement conference. It is like collaborative family law meetings; however, the parties effectively agree to agree on certain things; and agree to disagree on others. The "other" items are then litigated. This save the parties time, effort and money from having to retain new counsel as their existing lawyers can continue to represent them. Arbitration happens when you appoint someone other than a judge to make the ruling decision for you. Going to court is often the last resort. This is where a judge hears the case and makes a ruling. Most people choose to avoid court because it's expensive and time-consuming. You also lose a lot of control when you get a judge and the courts involved. The outcome may end up being something neither party is happy with. Unfortunately, court rulings are binding and are harder to change afterward. Lastly, going to court takes a toll on everyone. Relationships suffer and so do the children. There are situations where the only practical choice is to head to court to ask for temporary custody. Most often this happens when you are concerned about the safety of your child. If you have a situation where you wouldn't trust leaving your child alone with the other guardian, the courts need to know. Other times, one party is having extreme difficulties facing the reality of the breakup. Sometimes, the court application is the only way to get the other party to start a much-needed conversation about what happens next. If you personally feel unsafe or intimidated by your child's other guardian or anyone in their family, your best course of action is to head to court. Sometimes, a parent will prevent their child from spending time with their other guardian. If your ex isn't letting you spend time with your child, going to court can help. The courts can make orders forcing them to allow you time with your child. Lastly, if you suspect the other guardian is planning on taking your child away, do not wait. Get a lawyer and apply for temporary custody. The judge does not care about who is right and who is wrong. Nor can they always punish someone for bad behavior. If your goal is to have the judge pat you on your back for doing all the "right" things, get ready for disappointment. Judge's feel their is "his side", "her side" and the "truth is somewhere in the middle". The judge wants to make the best decision so that the child is taken care of and it's fair for all parties involved. The courts will take all the information into consideration. They may even ask your child what their preferences are. If you don't like the judge's ruling regarding temporary custody, there are steps you can take. Talk to a lawyer first to see what your options are. There are only certain reasons why an appeal can happen. Divorce, separation, and custody issues are all extremely complex and stressful issues. Don't try to go through it alone. You deserve all the help and support you can get. Contact an attorney who can talk you through the steps to get temporary custody granted to you. This entry was posted in temporary custody by verhaeghelaw. Bookmark the permalink.